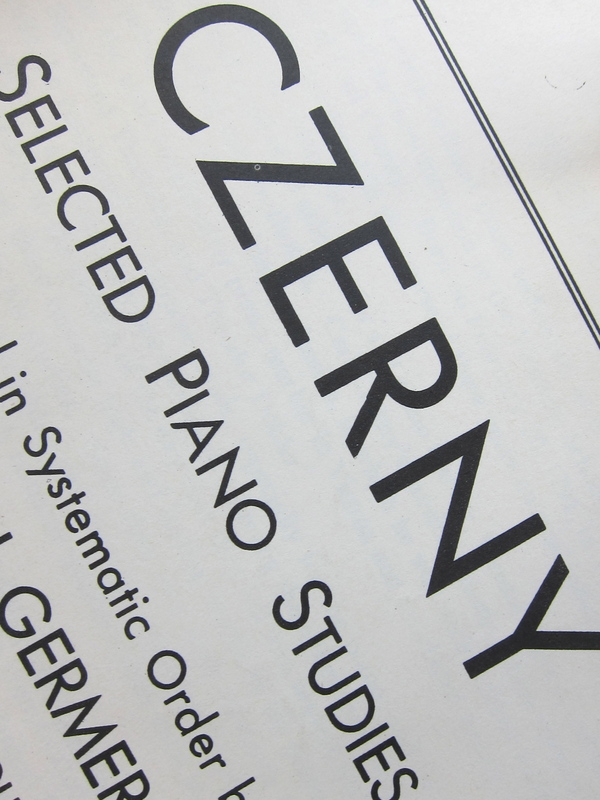 APRIL 2013 CZERNY—an unfamiliar name unless you play piano. But if you took piano lessons in your youth, you are overcome with guilt by the very word. This music book of targeted finger exercises is so hard to learn and play, you regularly left it at the bottom of your stack of music books and hoped for a miracle when it was time for your lesson. Now that you have PD, however, Czerny is the perfect ticket for your fine motor skill workout. Unlike the computer keyboard where you get double “e” if you aren’t workin it, with Czerny, you hear the screech. Payback for years of excuses at your lessons. Get moving with Czerny, sister!